Thaw bread dough on a piece of waxed paper – it takes about 2 hours. Cut in half length-wise and then across into 14 pieces. Spray a cake pan with cooking spray and place rolls in the pan. 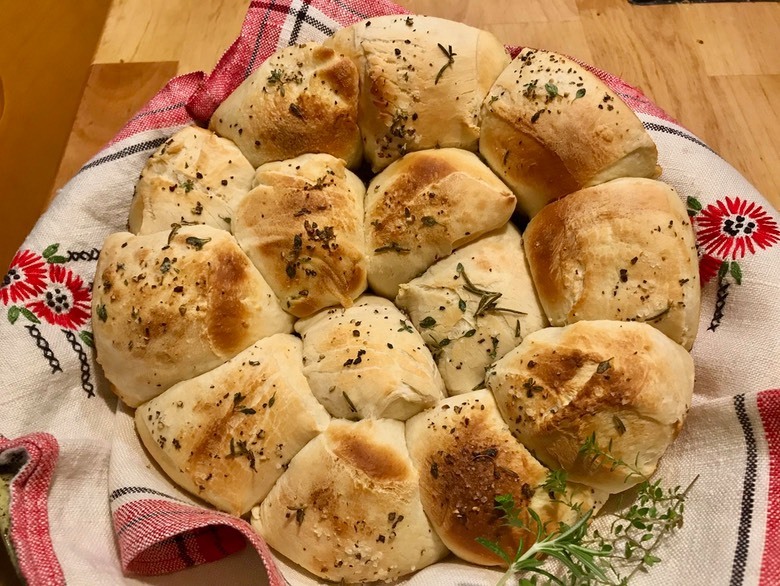 Mix butter with herbs, salt and pepper and pour over the rolls. Cover and let rise while the oven preheats to 400 degrees. Bake about 20 minutes until browned on the outside and soft in the middle.